The Pacifica Radio Network has a long tradition of sharing content, including news content, among the grassroots stations in its network. Recently, this tradition was revived through a program called News UP! 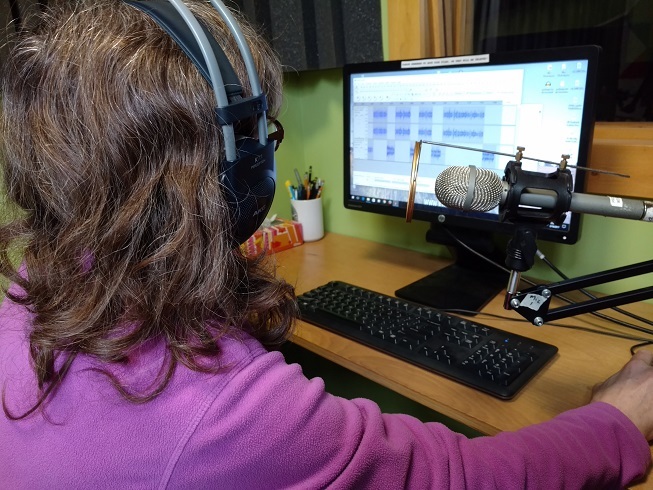 This program has a dedicated section in Audioport, where we invite reporter / producers from Pacifica and affiliate stations to post 3- to 8-minute segments that might be relevant to an audience outside their immediate locale. The idea is to build upon the network’s greatest strength–its stations’ close ties to grassroots people and movements–to put a human face on news content that is generally under-represented and usually reported “from a distance.” The immediate end-users of the segments will be news producers at member stations who are putting together 30-minute or 1-hour news shows combining local and national content. HOST LEDE: Many of Trump’s Cabinet nominees have proven controversial, but none more so than Betsy DeVos, the Michigan billionaire nominated as Secretary of Education. DeVos’s confirmation hearing in the Senate Health and Education committee will be held this coming Wednesday, January 11. Here’s Greta Anderson of Pacifica affiliate KHOI, with a story about the role DeVos has played in Detroit schools–and why one Detroit woman is going to DC with two busloads of like-minded Detroiters to protest DeVos’s confirmation. In the outro of your sound file, tell listeners who you are and who you are reporting for (Pacifica Network) and your station. E.g. Within your reporting follow basic good reporting guidelines for writing and recording a radio news feature. The first step is recording a good interview. Here are some basic guidelines on interviewing (applicable both to news stories and to longer features). Produce and export audio file as a mono mp3 (some stations cannot use stereo). The speed should be at least 128 kbps. Upload to Audioport with HOST LEDE in the Summary section and your name and the names of interviewees in “Credits”. Use “not a series” and “News UP!” designations from the pull-down lists. For a title, do your best to provide at-a-glance content info and place of origin.